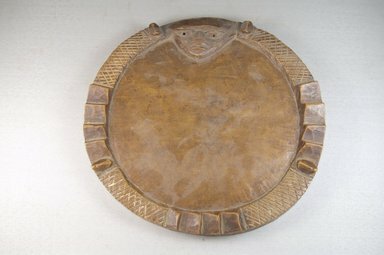 Flat, circular board carved from a single piece of wood. Face at top; a knob projecting upward on either side. Rim sectioned off by crosshatch and serrate-relief patterns. Condition: cracked.